After the English Civil War, there was an expansion of those who sought an alternative path to their faith than was offered by the established Church of England. Some of these groups, such as the Diggers, were as much about changing the social order and 'levelling' it out, as they were about religious doctrine. The Society of Friends, or Quakers, founded by George Fox (1624-1691) was another that looked for an alternative route to faith. The Unitarian movement was imported from Europe–the first use of the term in England dates from 1673. The movement was shunned by the established church, and Unitarians were disbarred from Oxford or Cambridge, nor were they allowed to participate in local civic affairs. Discouraged from the professions, the Unitarians directed their energies towards commerce and banking. By the mid 18th Century, the Unitarian movement was well established in Exeter, with their followers coming from local dissenters, and immigrants such as Johan Baring, a Lutheren wool merchant from Germany. By the middle of the 18th Century, the movement had three meeting houses in the city–St James' Meeting, Little Meeting and Bow Meeting. Little Meeting closed in 1750 while money from the sale of St James' Meeting, was used for the construction of George's Meeting House in South Street, which opened in 1760. Coincidentally, Georges Meeting House had its own burial crypt at the rear. 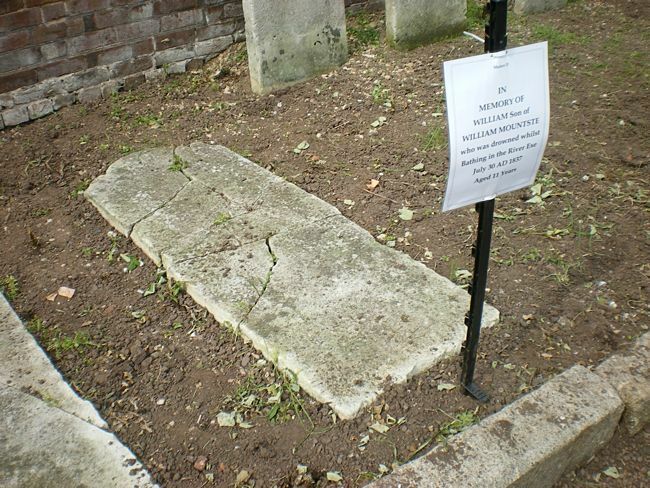 Prior to the DIssenters Burial Ground, a deceased dissenter may be buried in a Church of England burial ground, but it was dependant upon the vicar, who would often not allow a memorial stone at the grave. James Pierce, was an early 18th Century Unitarian preacher who had crossed swords with the 'bigoted Church of England clergyman' of St Leonard's. 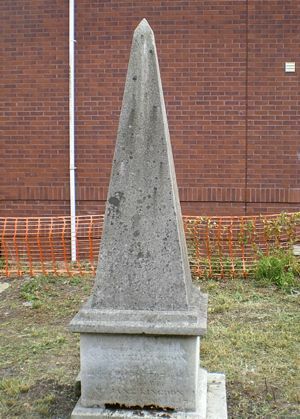 After Pierce died, in 1726, the clergyman had refused permission for the tablet to be placed over his grave, when he was buried in St Leonard's Churchyard. The tablet was placed in the Mint, and later moved to George's Meeting House. The land for the burial ground was acquired from the Exeter Municipal Charities on a 999-year lease in 1747. The first burial was in 1748, and there followed at least 1,300 more (and maybe as many as 2,000) some in earth graves, and some in brick lined vaults, known as caves. It is thought that the burial ground was larger than the present site, with part now under Bull Meadow Road and part under the flats on the opposite side to the road. Exeter's Dissenting Burial Ground contains the tomb of the Kingdon family. Samuel Kingdon Sr, father of the famous 'Iron Sam' was buried there in 1797. 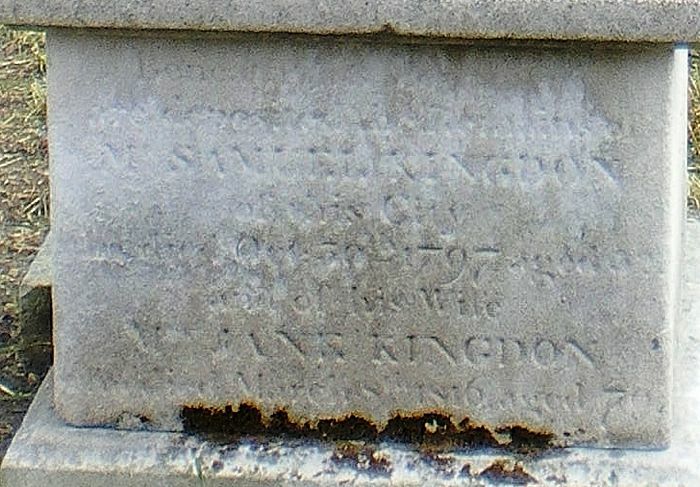 The inscription on his tomb read "Beneath this monument are deposited the remains of Mr Samuel Kingdon of this City who died Oct 30th 1797 aged 52. 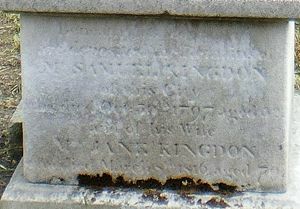 Also his wife Mrs Jane Kingdon who died March 8th 1816 aged 69." It was 'Iron' Sam, who, with three other Unitarians, found himself elected to the Chamber, in 1835, in Exeter's first free and open civic election. Others buried there include members of the Kennaways, Bowings, Treadwins, Merivales, and Bowrings. Exeter's Unitarians have left for posterity, the splendid Unitarian George's Meeting House in South Street as well as the burial ground. Lower Cemetery, below the city wall and above Exe Street, was opened with a dissenters section in 1834. The popularity of the new burial ground, along with a drift away from Unitarianism–and possibly the overuse of the old burial ground–saw the number of burials drop, and its eventual closure in 1854. The closure of Georges Meeting House in the mid 20th Century was followed by neglect of the site and its eventual sale to Messrs Carkeek Builders, for redevelopment. In 2010 the burial ground was sold to Nick Sprague for £20,500 with the intention of building 17 one and two bedroom social housing flats. Sprague was chief executive of Cobell & Frobisher, a processed fruit company. 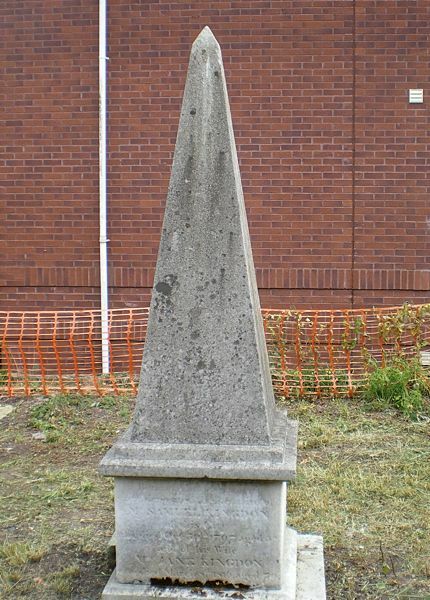 After the purchase, he stated that he would exhume the remains from the site, cremate and bury them on a suitable piece of ground, marked with the Kingdon obelisk, and a suitable inscription. Then he intended to build social housing on the site. Despite the misgivings of some, the scheme gained the backing of the Western Union of Unitarian and Free Christian Churches. 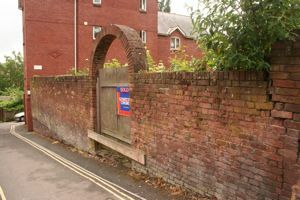 The Exeter Dissenters Graveyard Trust, was founded to keep the cemetery, as it is one of the last to remain in the country. 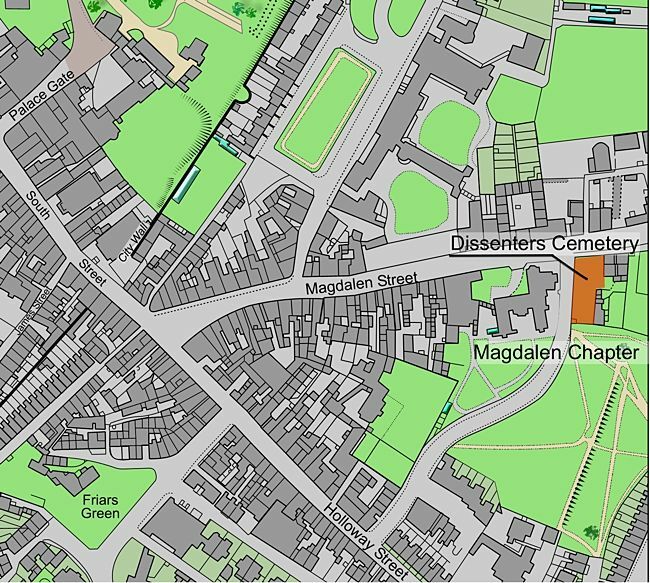 It has been purchased for the Exeter Dissenters Graveyard Trust by Exeter Historic Buildings Trust and will be passed to the trust as soon as it is formally incorporated. In January 2014 it was announced that the land had been purchased by the trust, after Sprague agreed to sell it at below market price, and an anonymous donor helped fund the purchase. Grants of £1,000 from the Council for British Archaeology and £7,900 by the Heritage Lottery Fund have been awarded to help pay for clearing, interpreting and opening the site. There have also been generous donations from private individuals, as well as those from EHBT, Exeter Civic Society, St Leonard’s Neighbourhood Association and Devon Gardens Trust. The burial ground has since been cleared, and many of the memorials moved to each side of a path, to allow them to be viewed. A team of volunteers has also spent many hours tracing and transcribing the many names and enscriptions on the gravestones. It will be a place of reflection and tranquility, open to the public, and remind people of Exeter's rich cultural heritage. See the Exeter Dissenters Graveyard Trust website. The entrance to the Dissenters Burial Ground. The Kingdon obelisk cleared of foliage. The enscription on the Kingdon obelisk. Memorial stone of an eleven year old boy who was drowned in 1837.